The Bender JCC of Greater Washington community extends beyond the building doors. Use your Center to its full potential and save with these exciting Center and Member Perks. Perks are just one more way the Center fits into your life every day. 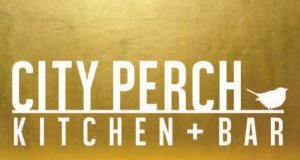 Taking advantage of these perks also benefits the Bender JCC! 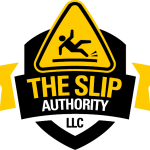 The Slip Authority Gives Back! Exclusive Savings for all Bender JCC Members: 10% Off Independent Slip Testing 10% Off 1 Bathtub Anti-Slip Treatment 20% Off 1 Full Bathroom Anti-Slip Treatment Indoor/Outdoor Pools & Other Rooms in Home. Discount available. Call us for details at 240-389-7239. The Bender JCC will receive a donation for every testing or treatment purchased from The Slip Authority. The Bender JCC now participates with Healthy Contributions, a company that pays eligible beneficiaries to work out. UnitedHealth Care members who work for employer groups of 2-99 MAY be eligible for Healthy Contributions. Eligible beneficiaries continue to pay their monthly membership dues to the Bender JCC. If they work out 12x per month or more they will be reimbursed $20/month directly from Healthy Contributions. If you have UnitedHealth Care check and see if you are eligible for this great program! 10% Discount will be given to all members with Bender JCC badges! Check out the Menu at their Rockville location. Orlando Employee Discounts | Save Up To 35% On Your Orlando Vacation! Orlando Employee Discounts offers Exclusive Pricing on Hotels & Vacation Homes in or nearby Disney World and Universal Studios Orlando! We are also the Largest Wholesaler of Tickets for Disney World, Universal Studios Orlando, and ALL Orlando Area Theme Parks and Vacations! Click here in order to access your discounts! Viridian – Save on Energy! Save on your PEPCO or BGE electric bill and reduce your carbon footprint. Go to www.viridian.com/jccgw and you’ll start saving on your electric bill. It’s easy! The Bender JCC will receive $2 per month for every subscriber! Consumers’ CHECKBOOK provides consumers with information to help them get high-quality services and products at the best possible prices. Bender JCC members and guests get a 2-year subscription for only $25, a savings of 52% off of the cover price!